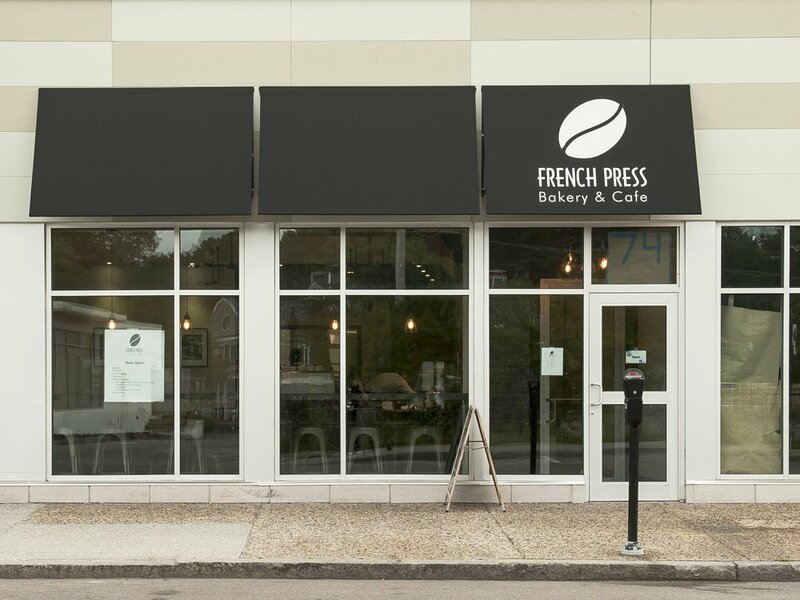 The recently opened French Press Cafè was built in a portion of space formerly occupied by the Taylor’s stationery store. 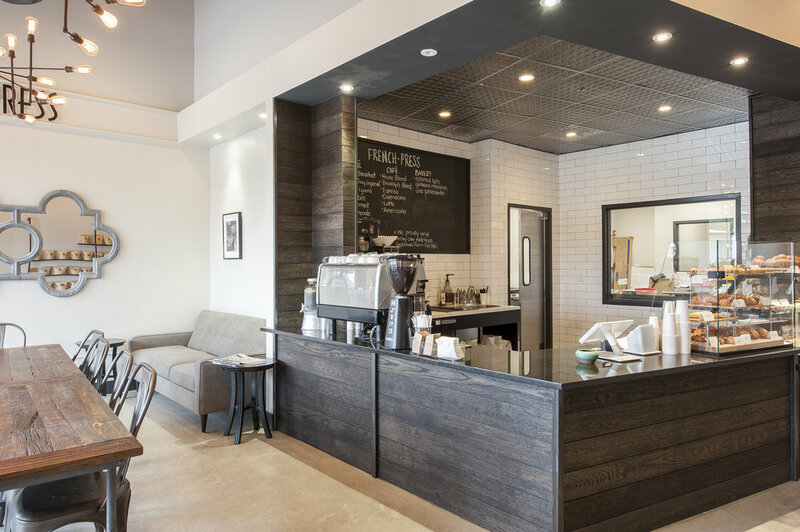 Retaining the full height of the original ceiling, the space has a spacious and open feeling to it. 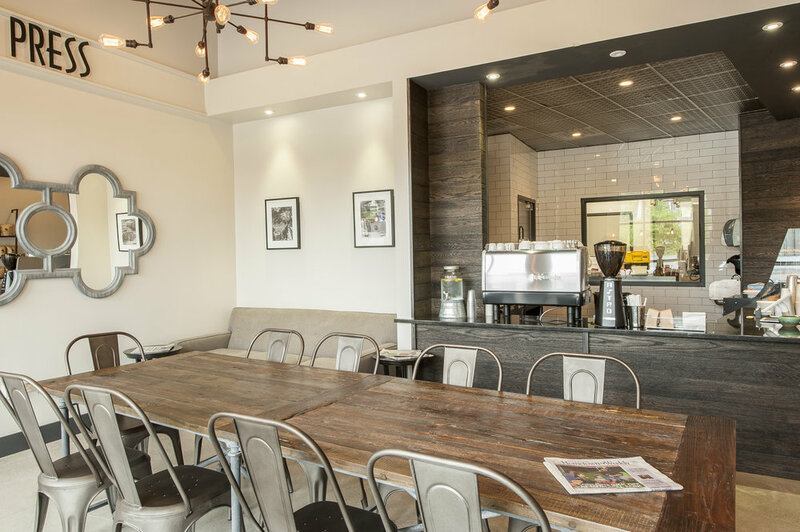 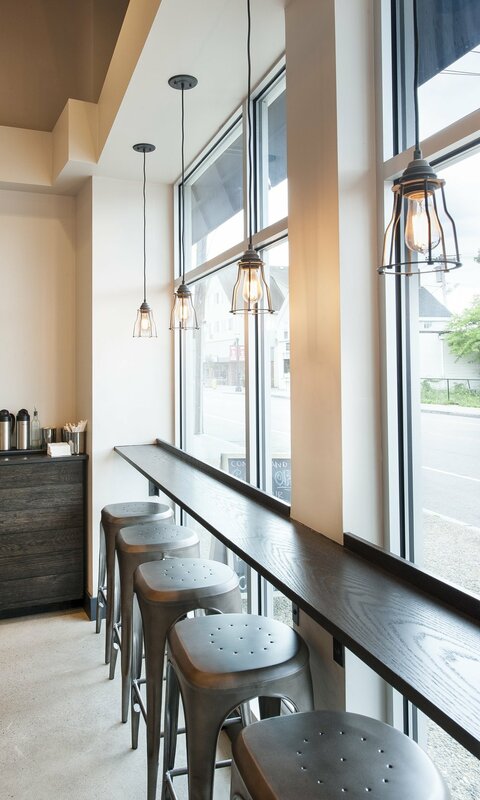 The use of reclaimed wood and steel showcases an industrial yet welcoming setting that honors the original structure, while giving new life and meaning to this modern day coffee shop in Needham, MA.